HMMH has been providing assistance to the Massachusetts Department of Transportation (MassDOT) Transit and Rail Division on an on-call basis in support of their many projects and programs. Support has included a range of activities such as development of applications for freight-based federal grant funding support, development of project environmental permitting strategies, supporting role in coordination of project development activities, and analysis of transit and rail program activities to identify project benefits. A principal role has been to provide technical support in the management of the Industrial Rail Access Program (IRAP). The purpose of the IRAP is to provide state incentive funding to freight rail stakeholders for capital investment projects that increase access to freight rail distribution opportunities, and preserve or stimulate economic development through the construction of new, rehabilitated or expanded freight service linkages to and from Massachusetts businesses. HMMH has utilized our unique understanding of the Massachusetts freight network to support management of the IRAP program, including how improvements to freight facilities may benefit freight customers and change freight volumes. 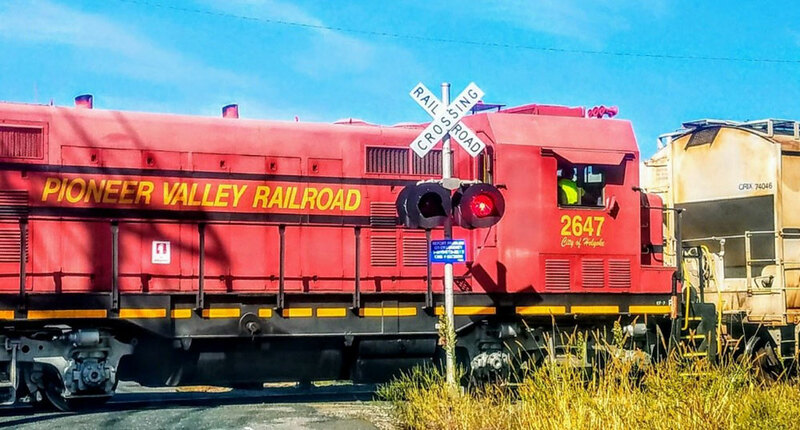 Management support of the IRAP program has included working with eight to ten grantees annually, involving projects ranging from reconstruction of major intermodal yards (e.g., Ayer Intermodal Yard) to the restoration of rail siding tracks. Further, support of this program has been provided through the assessment of project applications with regard to meeting program requirements and providing public benefits, coordinating with grantees to ensure compliance of their design with program requirements, facilitating grantee development of required documentation for grant agreements, and review and documentation of completed projects.